We are constantly in contact with textiles in our environment and so safety and confidence in these products is vital. Textiles comprise a significant part of our consumer world: clothing, bedding, furnishings, carpeting, towels, car interiors and so on, are all made from textiles. They can be made of natural or synthetic fibres but any allergic reactions or health implications are generally as a response to fibre treatments, such as dyeing and other chemical finishes, rather than the textile itself. What chemicals are used in textiles? Natural textiles can include material such as wool, flax, silk, cotton, bamboo and hemp and synthetic includes such materials as acrylic, nylon, rayon, spandex and polyester. Chemical finishes to textiles can greatly improve their wearability, appearance and functionality, and a great many functional chemical finishes we simply take for granted. In the 1960s formaldehyde levels could be as high as 3,000ppm, this had declined to below 500ppm in the 1980s and in general most clothing now has relatively low levels of formaldehyde. Where price and quality continue to be a pressure on the textile industry however, it can be possible for lower quality material to enter the supply chain and so a range of certification standards have been developed to help companies to ensure that the textiles they are using are of appropriate quality and safe to use. Azo dyes are found in 60-80% of all colorants and are responsible for the vivid colours that can be seen in many textiles, especially clothing. Azo dyes can quite easily come off fabrics and can break down to release chemicals called aromatic amines, some of which have been reported to cause cancer.Some dyes can also cause contact dermatitis, the most common of which being disperse blue 106 and disperse blue 124. In 2003 the EU banned azo dyes that could release one or more of the 22 most dangerous aromatic amines; in the United States these dyes are only banned in the state of California. Given the variation in regulation of these dyes internationally, independent certification standards have emerged as an excellent mechanism for responsible manufacturers to ensure that their products meet the highest requirements in terms of consumer safety. Heavy metals are often used as part of the dyeing process and include antimony, cadmium, lead, mercury and chromium VI. Once absorbed by the body, these metals can accumulate in the liver or kidney and cause serious health problems. Cadmium, lead and chromium IV are classified as carcinogens, with cadmium being restricted in Europe for some time. The use of mercury and lead has been restricted in textiles, however they are still of concern. Organotin compounds are mainly composed of tin. Their main application is in the prevention of body odour in clothing, however they may also be used as antimicrobial agents. Similar to heavy metals, these tin compounds can accumulate in the body, and affect the immune and reproductive systems. Tributyltin (TBT) and dioctyltin (DOT), two types of organotin compounds are banned across the EU at levels above 0.1%. Chlorobenzenes are used in the dyeing process as carriers or levelling agents. They are more often used in polyester and polyester blend textiles, rather than natural textiles. They can be toxic by inhalation or skin contact and can accumulate in the body over time affecting the liver, thyroid and central nervous system. Chlorobenzenes are restricted for use in the EU, to levels below 1.0mg/Kg. How do I ensure that my clothes are free from dangerous chemicals? The chemicals listed above are some of the more common chemicals used in textiles, however there are many more used for other functions including plasticity, water resistance, flame retardancy and so on. In this context, with the amount of chemicals that can be used, the limit levels that may change from country to country and even within a country, it can be very challenging for manufacturers to keep up. Globalisation provides companies and consumers with many opportunities through enhanced choices, but with it brings many challenges. Manufacturers can source textiles from anywhere in the world, which has many benefits, but also raises many questions. For example, how does a clothing manufacturer in Los Angeles know that a textile producer in India, China or Europe is producing clothing that complies with the chemical limit levels outlined above? The State of California has the lowest limit levels in the US, on par with the EU. However, where long supply chains are concerned, how can manufactures know for certain if limit levels were adhered to? 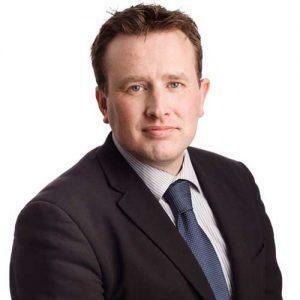 There is also an element of corporate social responsibility; while some chemicals may not be banned, it may be more appropriate to use more environmentally friendly alternatives – how can companies be sure that their suppliers are complying with this? Once incorporated into the fabric it can be almost impossible to tell what chemical has been used and how much (unless destructive testing is performed). The need for answers to these types of questions has led to the establishment of several textile certification programs. These range from specific certification of textiles for adherence to chemical limit levels, to examination of the supply chain to ensure that it is as ethically responsible as possible. 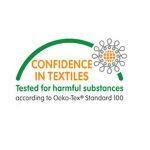 Oeko Tex® is a global standard for textiles and has been in existence since 1992. It certifies a range of products from curtains and jackets to bedding and baby clothing. Their certification is textile specific and is based on four product classes with increasing limit levels based on intensity of skin contact and skin sensitivity. Their focus is on ensuring a textile product poses no risk for human health. The types of compounds that Oeko-Tex® certify against include free formaldehyde, heavy metals, chlorinated phenols, colorants, tin compounds, flame retardants, volatile emissions, etc. The Oeko-Tex® standard focusses on comprehensive testing of the textile and does not address supply chain, environmental issues or organic certification. 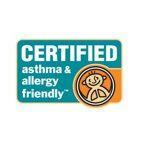 The asthma & allergy friendly® certification program was established in 2006. It is operated by Allergy Standards Ltd in collaboration with the Asthma and Allergy Foundation of America (AAFA), Asthma Canada and is also operated internationally through a global certification mark. ASL only certify products that have undergone physical testing at ASL accredited testing laboratories, according to specific testing standards. 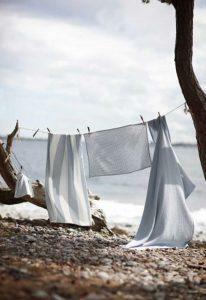 In terms of textiles, ASL focuses on bedding, toys, filters and raw material. The asthma & allergy friendly® certification program maintains a focus on consumer products that will improve the indoor environment for those suffering from asthma and allergies. The Nordic Swan Ecolabel was established in 1989 and is a voluntary ecolabelling scheme for the Nordic countries (Denmark, Sweden, Norway, Iceland and Finland). 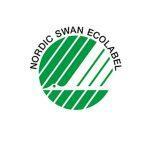 The Nordic Swan Ecolabel is applicable to a wide range of consumer categories, with textiles being one of these. Within its textiles testing, the Nordic Swan Ecolabel is divided into several categoriesincluding: Baby products, textiles, hides/skins and leather. The testing required by this certification mark covers similar areas to the Oeko-Tex® standard, however it also includes environmental impacts such as the impact of textile processes on local waterways, energy consumption and packaging considerations. The Global Organic Textile Standard promotes ecology and social responsibility as well as the chemical analysis of the textiles. 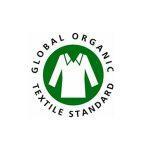 It requires that at least 90% of the fibres used in products are certified organic. It also addresses water usage and to a certain extent, worker rights within the manufacturing facilities. Textiles certified as organic will be safe for human use, however as with all certifications, you should inform yourself fully about them based on their usage before purchasing.